The MLK Observance Day Association has announced that Savannah State University President Cheryl Davenport Dozier, Ph.D., will be the keynote speaker for the annual Business and Community Unity Brunch to be held at 10 a.m. on Saturday, Jan. 28, 2017, at the Savannah International Trade and Convention Center. 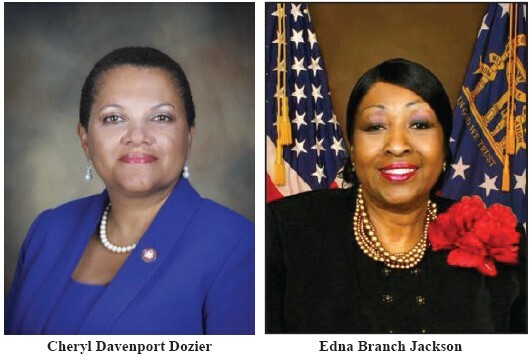 In addition, former Savannah Mayor Edna Branch Jackson, a noted civil rights advocate, will preside over the brunch program. Dr. Dozier, Savannah State’s 13th president, has led the university since 2011. During that time she has advanced the university’s mission of developing productive members of a global society through scholarship, research, service and community involvement. Her vision is to move students from “matriculation to graduation.” Under Dr. Dozier’s leadership enrollment at SSU has reached an all-time high, fundraising has increased and several new alumni chapters have been chartered. Dr. Dozier successfully launched the Closing the Gap Fund, a program that provides financial support to students in their final semester to ensure that they are able to complete college. She has also worked to expand the university’s global engagement, foster community partnerships and improve customer service. Dr. Dozier earned a bachelor’s degree from Fairleigh Dickinson University, a master’s in social work from Atlanta University (now Clark-Atlanta University) and a doctorate in social work from Hunter College at the Graduate Center of the City University of New York. Edna Jackson was Savannah’s 65th mayor, the first African-American woman to hold the position. Before her election in 2011, she served three terms as alderman at large on the City Council, including serving as mayor pro tem for two terms. Jackson earned her bachelor’s and master’s degrees from Savannah State, where she later worked as an administrator for 30 years. Jackson began her career as a public servant at an early age. She joined the NAACP Youth Council in Savannah at the age of nine. While a student at A.E Beach High School, she began her journey in the Civil Rights Movement in Savannah under the leadership of the late W.W. Law and the late Judge Eugene H. Gadsden. She was among the students who participated in the “Sitins” at downtown Savannah businesses, the “Wade-In’s” at Tybee Beach, and the “Kneel-Ins” at various Savannah churches during the Civil Rights Movement in the early ’60s. The MLK Observance Day Association is a 501©3 organization that has operated in Savannah continuously since 1985 to honor the legacy of Dr. King. Every year funds raised through the observance events help to send students from the Savannah area to college.